My fall semester is starting today, so I have been busy with getting it ready to roll. Still, I don’t want to neglect my poetry postings, so here’s a short note about new "old" poetry books to watch for. Good news! There are a few older poetry books that are being reissued as paperbacks this year. I’m always excited to see that happen because it means they’ll be available a little while longer (since books go out of print so very fast, especially poetry books) and it means that more KIDS may buy them since paperbacks are even more affordable and portable for young readers. So… here are a few notices I’ve encountered, I hope readers will comment on other poetry titles they know are coming out in paperback. Wouldn’t it be great to see some of Karla Kuskin’s work reissued? I’d vote for Near the Window Tree… or how about some Myra Cohn Livingston gems? With Silverstein’s birthday coming up on Sept. 15, it’s a good moment to revisit his kid-friendly, irreverent work—not that he needs any help from me in reaching his audience! Still, here’s one of my favorite poems from A Light in the Attic. I have used it countless times in poetry performances with kids and it’s always a hit. Ask for volunteers for individual lines (while you read the N = narrator parts). There are 20 “Whatif” lines, so a whole class can participate. 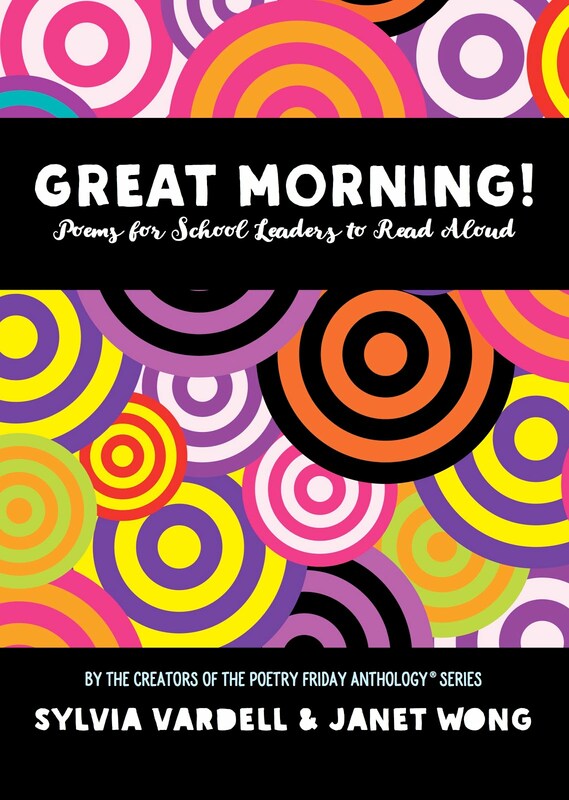 The poem has a humorous tone, despite the list of worries, but it takes on deeper shades of meaning when children voice the lines. Try it—it may be a good icebreaker for the beginning of the school year when children do have many worries about how the year will go. 1 Whatif I’m dumb in school? 2 Whatif they’ve closed the swimming pool? 3 Whatif I get beat up? 4 Whatif there’s poison in my cup? 5 Whatif I start to cry? 6 Whatif I get sick and die? 7 Whatif I flunk that test? 8 Whatif green hair grows on my chest? 9 Whatif nobody likes me? 10 Whatif a bolt of lightning strikes me? 11 Whatif I don’t grow taller? 12 Whatif my head starts getting smaller? 13 Whatif the fish won’t bite? 14 Whatif the wind tears up my kite? 15 Whatif they start a war? 16 Whatif my parents get divorced? 17 Whatif the bus is late? 18 Whatif my teeth don’t grow in straight? 19 Whatif I tear my pants? 20 Whatif I never learn to dance? N The nighttime Whatifs strike again! Afterward, put out a shoe box inviting kids to contribute their own anonymous “whatif” worry lines and then combine them into a new “Whatif” poem to read aloud. It may be reassuring for kids to see that their worries may be shared by others. Posting (not poem) by Sylvia M. Vardell © 2009. All rights reserved. It is with great sadness that I share the news of poet Karla Kuskin’s death last week. She was the first major poet whose work I encountered when I was a teacher and graduate student in the 1970’s. I met her and appreciated her smart, clever wit and way with words. She showed me that poetry for kids could be funny, yes, but even more. And now I find that so many people don’t know her work—as with many of the earlier “greats”-- and that’s a shame. One of my favorite poetry collections for kids (of all time!) is Dogs and Dragons, Trees and Dreams which you can buy “used” for a penny. You’ll find “Bugs” there, as well as “Lewis has a trumpet” and “Write about a radish”—all with short notes from Kuskin about how each poem came to be. And one of my very favorite poems is from another Kuskin collection, Near the Window Tree, which conversely is available for $150 on Amazon! It’s 35 years old now, but this poem is perfectly timeless, don’t you think? And let it fall again. from: Near the Window Tree, Harper and Row, 1975. Doesn’t it have a delicious rhythm and structure? And doesn’t it capture a wonderful reading moment? And isn’t that echo of three magical wishes absolutely perfect? 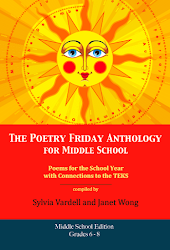 One of my favorite quotes about teaching poetry is a Kuskin gem: “Instead of building a fence of formality around poetry, I want to emphasize its accessibility, the sound, rhythm, humor, the inherent simplicity. Poetry can be as natural and effective a form of self-expression as singing or shouting.” This is almost a “mission statement” for my own work in poetry. 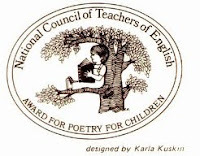 And of course, you may also know that Kuskin was an artist and illustrator and created the unique seal for the National Council of Teachers of English Excellence in Poetry Award. Karla Kuskin was born on July 17, 1932, in New York City. Encouraged by her parents and teachers, Kuskin began writing poetry as a young girl. She attended Antioch College and earned a bachelor’s of fine arts degree from Yale University. She is married and has two grown children who are photographers. Karla Kuskin’s first book developed from her senior thesis. Roar and More, a children’s book she wrote and designed, was published in 1956, in a slightly altered form. Kuskin has gone on to become a prolific writer and illustrator of over fifty works of children’s poetry, storybooks in verse, easy readers, and even nonfiction. 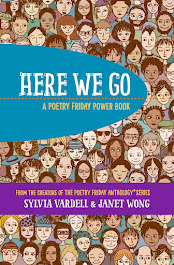 Her many awards include American Institute of Graphic Arts Book Show awards, American Library Association Notables, International Reading Association Children’s Choice distinctions, a National Book Award nomination, and the National Council of Teachers of English Award for Excellence in Poetry for Children award given for a poet’s entire body of work. Karla Kuskin’s pictures and poetry are brimming over with the experiences of children growing up in a big city. For a wonderful compilation of poems from several previous works as well as new poems, look for Moon, Have You Met My Mother? The Collected Poems of Karla Kuskin (HarperCollins 2003)…. Kuskin shares further insights in her autobiographical picture book, Thoughts, Pictures, and Words (Richard C. Owen 1995). Many of Kuskin’s poems have a strong voice or distinctive structure that lends itself to being read aloud and performing chorally. For example, try “The Question” (Dogs And Dragons), a poem that poses multiple answers to the question, “What do you want to be when you grow up?” Different groups or individual children can each pipe in with a different answer from the poem, “I think I'd like to be the sky,” “Or maybe I will stay a child," etc. Kuskin also has written many poems for children that incorporate a linear format that lends itself to line-around reading. For example, look for “Rules” (Dogs and Dragons), a listing of “rules” such as “Do not jump on ancient uncles” that children will find hilarious. And of course they may want to generate their own list of crazy rules to follow. Finally, here’s a link to Karla Kuskin's obituary in the New York Times. 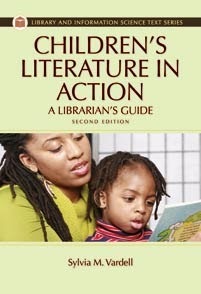 I hope there’s a run on her work in every library and bookstore. 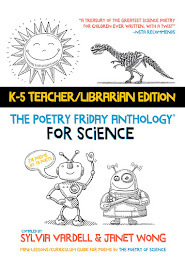 "Pairing nonfiction and poetry may seem like an unlikely partnership at first, but these two different genres can complement one another by showing children how writers approach the same topic in very different and distinctive ways. 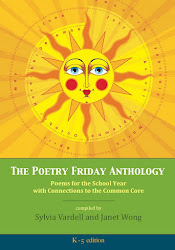 In addition, children will see that you can learn a lot of information from BOTH a poem and a work of nonfiction.... 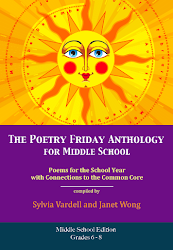 Poems can also serve to initiate a topic or enrich and extend it. The length is less intimidating to children overwhelmed by longer prose and streams of new vocabulary. 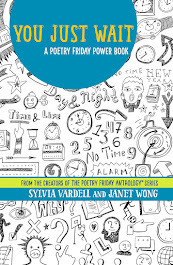 Although poetry may also present new words and concepts, this shorter appearance provides a motivating advantage.... Look for poetry anthologies organized by subject matter, when possible, since they help make the content connection obvious. 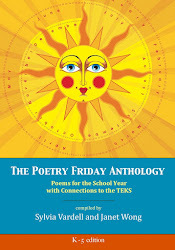 • Extend the topic further"
Chatter, Sing, Roar, Buzz: Poems about the Rain Forest, the book I have in hand. 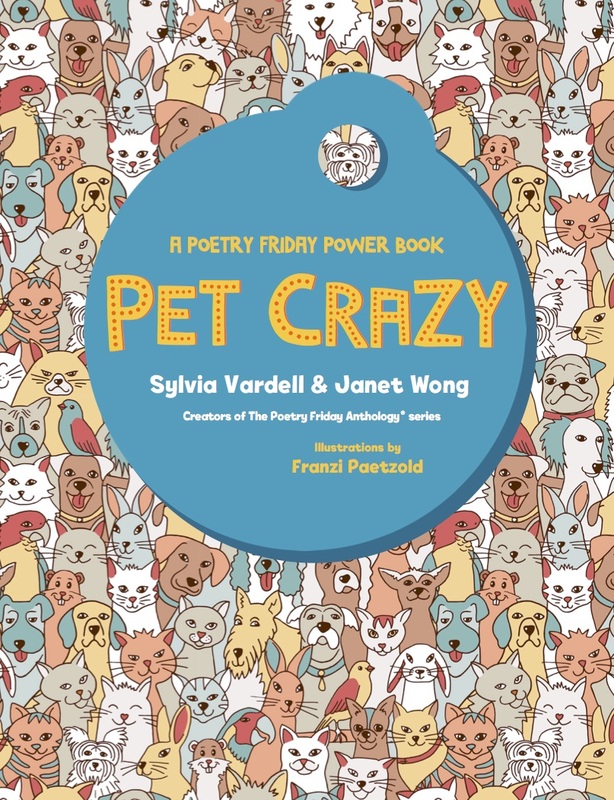 Two things grab you as soon as you open this picture book-- it's highly visual with full color, full page (sometimes double-page) photographs for every poem and secondly, the design showcases the poems equally effectively in a large, appealing font spread nicely across the page. Eye catching and easy to read. Add to that, the photos are well chosen and well matched to the poems (although the image focus could be a bit sharper IMO) and the poems manage to be both clearly descriptive and well written and representative of a variety of poetic forms. Salas, Laura Purdie. 2009. Chatter, Sing, Roar, Buzz; Poems about the Rain Forest. Mankato, MN: Capstone Press, p. 20. Finally, I love how this book connects further with nonfiction by modeling the attributes of quality nonfiction in providing helpful backmatter: a section entitled "The Language of Poetry" that explains poetry terms and forms relevant in this collection (e.g., "diamonte"-- describing the form and noting which poems in this particular book are diamonte poems), a "Glossary" of unusual vocabulary found in the poems (e.g., "liana" [lee AHN uh]-- a thick vine of the rainforest), "Read More" with recommendations of related books, "Internet Sites" with a "Facthound" that will "fetch" the relevant sites from the Capstone site, an "Index of Poems," and in small print, photo credits and a note to parents, teachers, and librarians. I for one really appreciate the backmatter in books. These tools make the book even more versatile for a variety of purposes and audiences. Each picture book is designed to be at a reading level for first-to-second graders. The Capstone brochure indicates the "interest level" at preK-2, but I would argue that these would be interesting to kids beyond second grade, too. That's the terrific thing about poetry, IMO, it is so much LESS age-bound than other genres, especially when you read a good poem aloud. Who can say what age a poem was intended for? It's for ME! I want to look for these titles next, don't you? FYI: Laura blogged about the writing process for these 10 poetry collections. Check it out! Join the rest of the Poetry Friday gathering hosted by Andromeda Jazmon today at A Wrung Sponge. I love book sales, particularly library book sales, and last week I hit a gold mine at the annual Plano (TX) Public Library used book sale. Of course, I’m always digging for poetry, but I rarely run across any volumes that I do not already have. But this time… bingo!... I found nearly 30 fabulous out-of-print titles. This is a bittersweet moment, because I’m sad that they’re no longer on the library shelves and I wonder how often (or whether they’ve been) checked out and shared. But I’m tickled to give these orphans a home and will pore over them to enjoy poems that are new to me, even if the books are old. --if I remember correctly, these “song” collections (also Earth Songs, Sky Songs, Space Songs) were some of the first anthologies to appear in picture book form with double-page spread art (expressive paintings by Leonard Everett Fisher). Very visual, with only one poem on each double-page. [UPDATE: I am wrong about that. I have since learned that there were indeed illustrated picture book poem collections in the 1970's-- such as Do Bears Have Mothers, Too? by Aileen Fisher and illustrated by none other than Eric Carle (1973). When will you sniff your long way home? Why are these wonderful books all out of print? Why is nearly impossible to find nearly any of Myra’s books in print? It’s just crazy! So many of today’s poets learned at her feet. And so much of her poetry (and her collections) feels so timeless. Her birthday is coming up soon (August 17), and although she is no longer with us, please dig around for her work on the library shelves and in anthologies. (Check out my Aug. 17 posting in 2007 for a more thorough tribute to Myra.) By the way, the Children's Literature Council of Southern California presents a Myra Cohn Livingston award for outstanding poetry each year. Lovely legacy! 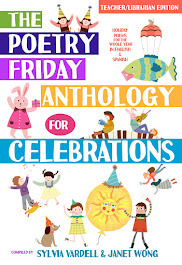 It's not too late to check out the Poetry Friday gathering at The Miss Rumphius Effect.